Augustus L. Allen, a Poughkeepsie resident, served on the Board of Trustees until 1902. Martin Anderson, an editor and college professor, was born in 1815. Having studied at both Newton Theological Seminary and Waterville College (later Colby College), Anderson became a classics instructor in 1841. 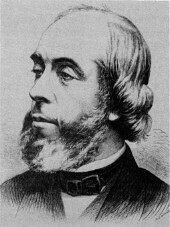 He served for two years as the editor of the New York Record, before becoming president of Rochester University in 1853. He retired in 1888, and died one year later. Rufus Babcock, an editor, author, and devout Baptist minister, was born in 1798. Ordained in Poughkeepsie, Babcock became president of Waterville College in 1833, but resigned shortly after due to poor health. In 1841, he founded the Baptist Memorial Monthly and later served as president of the American Baptist Publication Society. Nathan Bishop was born in New York in 1808. He supported himself while studying at Brown University, where he later became a member both of the Board of Trustees and of the Board of Fellows. Having run schools in both Providence and Boston, Bishop retired to engage in philanthropy. He contracted malaria while working for Ulysses S. Grant's Indian Commission and died in 1880. Stephen Buckingham, born in Connecticut in 1808, worked as a dry goods clerk before touring England as a buyer. A seasoned traveler, Buckingham eventually settled in Poughkeepsie, where he served on the Vassar Board of Trustees. In 1870, he was appointed Secretary of the Board, a position he retained until his death in 1887. Samuel Constant, a devout Baptist and personal friend of Matthew Vassar, was born Samuel Smith in 1817. Adopted by his uncle at a young age, he changed his surname to Constant and trained as the captain of a clipper. His firm, Constant & Co., in New York City, manufactured "paper hangings" (wallpaper), and he served on the Vassar Board of Trustees until 1884, one year before his death. Cornelius DuBois, a prominent banker, was born in Fishkill but moved to Poughkeepsie where he "found his fortune." After becoming President of the first National Bank, DuBois served as a Vassar trustee until 1880. Joseph C. Doughty, a Poughkeepsie businessman and a friend of Matthew Vassar,(9) became a Member of the Assembly for the Democratic Party in 1863. 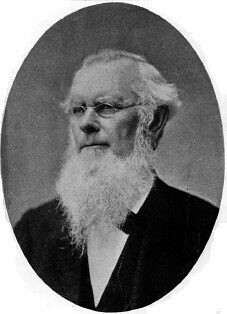 Doughty's fellow trustees elected him to the Vassar College Executive Committee in 1872. He died one year later. James Harper, a prominent publisher in New York City, was born in 1795. An early interest in Benjamin Franklin led him to found his own publishing firm, Harper & Bros.. Harper became New York City mayor in 1844, and he served as a Vassar trustee until his death in 1869. Ira Harris, a prominent Baptist jurist and law professor, was born in 1802. Having served as a State Senator and member of the Supreme Court, Harris began teaching at Albany Law School in 1851. A decade later, he was elected to the U.S. Senate. Like Edward Lathrop, Smith Sheldon, and William Kelly, Harris originally served as a trustee at Rochester University, where he met Matthew Vassar. He served as Chairman of the Vassar Board of Trustees for three years before his death in 1875. William Hague was a devoted preacher and a close friend of Matthew Vassar. A man of "practical wisdom" and "fine culture," Hague became an energetic advocate of higher learning. He died in 1887. 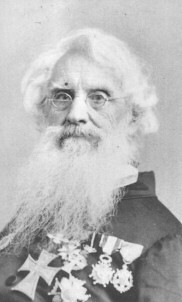 Milo P. Jewett, born in 1808, was a professor, dedicated Baptist, and the first president of Vassar Female College. After graduating from Dartmouth, Jewett earned a divinity degree from Andover Theological Seminary in 1833. He worked as a professor in Ohio, and published the Alabama Baptist before relocating to Poughkeepsie in 1855, where he met Matthew Vassar. On Jewett's advice, Vassar laid plans to open Vassar Female College. Jewett was unanimously voted the college's first president at the Board's first meeting but was forced to resign in 1864 (See Top Hat Scandal). He later moved to Milwaukee where he ran an import business and was involved in civic and educational efforts. Jewett died in 1882. William Kelly was a politician and the first Chairman of the Vassar Board of Trustees. The son of an Irish merchant, Kelly worked as a businessman before turning to politics and philanthropy. In 1856, he was elected to the New York State Senate. An "honest advocate of collegiate training," Kelly became chairman of the board in 1861, and held the office until his death in 1872. Edward Lathrop was born in Savannah, Georgia in 1814. After graduating from the Hamilton Literary and Theological Institute, Lathrop was ordained as a Baptist minister in 1841. He served as a pastor in both New York City and Connecticut before becoming a trustee at Rochester University in 1859. In 1876, Lathrop was elected chairman of the Vassar Board of Trustees, a position he held until his death in 1906. He was the last surviving charter member. Benson J. Lossing was born in New York in 1813. Despite having received little formal education, Lossing became a successful writer and artist. After working as a watchmaker and journalist in Poughkeepsie, he developed a passion for wood engraving. In both his art and his writing, Lossing strove to depict historical events realistically, aiming to "impress 'facts upon memory'". A lifelong advocate of universal education, Lossing served as a Vassar trustee until his death in 1891. Elias Magoon, born in 1810, attended both Waterville College and Newton Theological Seminary before becoming an ordained Baptist minister in 1839. In addition to being an accomplished author, preacher, and lecturer, Magoon was a student and collector of art. As the original chairman of the Art Gallery Committee, he outfitted the fledgling Vassar art department with his extensive collection of 400-500 paintings and various books on art, which he sold to Vassar for almost $20,000. Reverend Magoon died in 1886, one year after retiring as trustee. Samuel F. B. Morse, prominent artist and inventor, was born in 1791. As a young Yale graduate, Morse traveled to Europe to study portrait painting. After earning an international reputation as an artist, he conceived the idea for electric communication in 1832. Five years later, Morse invented the telegraph, for which he became famous. He resided at "Locust Grove," his Poughkeepsie home, until his death in 1872. George T. Pierce, born in Dutchess County, was a prominent politician. After studying at Yale College and Cambridge Law School, Pierce served as a member of the Dutchess County Assembly and, in 1850, joined the State Senate. He resigned as trustee in 1868 and moved out West, where he died in 1874. 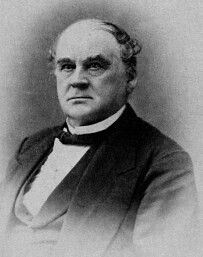 John H. Raymond, an educator, Baptist clergyman, and president of Vassar College, was born in 1814. After attending Columbia and Union Colleges, Raymond attempted a career in law but soon became engrossed with religion and studied Baptist theology at Madison University. In 1850, he helped organize Rochester University. Five years later, Raymond became president of the Brooklyn Collegiate and Polytechnic Institute, but left in 1864 to serve as Vassar College president, after Milo Jewett's resignation. Raymond's expert leadership at Vassar set the standard for succeeding women's colleges. Also instrumental in the abolitionist movement, Raymond delivered heated speeches disputing Europe's favorable view of the South. He died in 1878. Ezekiel Robinson, an educator, preacher, and college president, was born in 1815. He became a Baptist minister in 1842 after studying at Newton Theological Institute. He later taught at Rochester Theological Seminary and became president of Brown University in 1872. An admired professor and administrator, Robinson died in 1894. Smith Sheldon, a personal friend of Matthew Vassar, founded his own publishing house, Sheldon & Co., in New York City. An advocate for the education of freed Southern slaves, Sheldon also served on the Board of Trustees at Rochester University. George Sterling was a Poughkeepsie farmer. (27) He served as a Vassar trustee until his death in 1874. Cyrus Swan was born in 1820 and studied at Yale College. He established a successful law practice in Poughkeepsie, where Matthew Vassar became his client and close friend. In 1845, Swan accompanied Vassar on his homecoming voyage to Europe. Swan served as secretary of the Board of Trustees until 1870, but remained a trustee until his death in 1900. 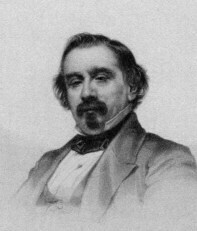 Charles Swift was born in 1812. In addition to practicing law, Swift became the third mayor of Poughkeepsie in 1858. He served as a Vassar College trustee for sixteen years before his death in 1877. John Thompson, prominent lawyer and politician, was born in Rhinebeck in 1809. An accomplished orator, Thompson was the New York State congressional representative for Columbia and Dutchess counties. He served as a Vassar trustee until 1885, and died five years later. John Guy Vassar, Jr., nephew to Matthew Vassar, was a businessman, philanthropist, and world traveler. Raised by his uncle, John Guy became a partner in M. Vassar & Co. in 1832 but fell ill seven years later and began his travels. In 1862, he published his Twenty Years Around the World, claiming to have "visited more countries, and traveled over more surface than any man who ever existed". A wise investor, John Guy Vassar funded the construction of various institutions with the help of his brother, Matthew Vassar, Jr. The last of these, The Vassar Brothers Hospital, was erected after his brother's death. 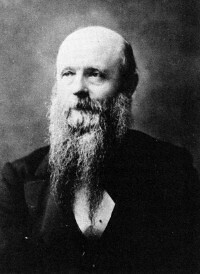 John Guy died in 1888. Augustus L. Allen Bulletin of Vassar College. 1865. Martin Anderson Dictionary of American Biography. v.1 p. 269-70. Rufus Babcock Ibid. v.8 p.405. Nathan Bishop Ibid. v.1. p. 101. Stephen Buckingham Vassar College Special Collections biographical file, Stephen Buckingham. Samuel Constant Vassar College Special Collections biographical file, Samuel Constant. Cornelius DuBois MacCracken, H.N. Old Dutchess Forever. p.454. Poughkeepsie City Directory, 1868-9; Bulletin of Vassar College, et al. Joseph C. Doughty Ibid. Vassar Miscellany. v.2, no. 4. July 1873. James Harper Dictionary of American Biography. v.4, p. 282. Ira Harris Dictionary of American Biography. v.4. p. 310. William Hague Smith, S.P. Discourse in Memory of William Hague. 1889. p.57-8. Milo P. Jewett Vassar College Specials Collections. Board of Trustees Minutes / Daniels, Elizabeth A. "Milo Parker Jewett." Edward Lathrop Vassar College Special Collections. A General Catalogue of Colgate University. Hamilton, N.Y.: Colgate University, 1913. Bulletin of Vassar College: Alumnae Biographical Register Issue. Poughkeepsie: February, 1939. Benson Lossing Huntington Library biography of Benson Lossing. Casey, Diane. Benson Lossing: His Life and Work, 1830-1860. pp. 81-95. Elias Magoon Rogers, Eleanor. "Elias Lyman Magoon". 1902. Samuel F. B. Morse Carman, Lewis. "Morse- The Poughkeepsian." Thrift Messenger. Sept. 1932. Vol. XI. No.3. George T. Pierce Special Collections biographical sketch / Murphy, Wm. D. Biographical Sketches of the State Officers and members of the Legislature of the State of New York. 1863. John H. Raymond Raymond, John Howard. Dictionary of American Biography. Ed. Garraty, John. Carnes, Mark. Vol. 18. Oxford University Press, New York: 1999. p.216-217. Ezekiel Robinson Anderson, Thomas Davis. Memorial Address on Ezekiel Gilman Robinson. 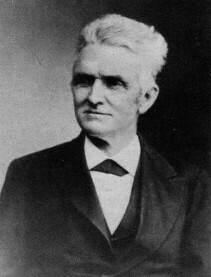 Smith Sheldon November 22, 1894. P.S. Remington Press. Vassar College Special Collections file; obituary in Harper's Weekly. September 19, 1884. p. 595. Morgan L. Smith Memorials of Morgan L. Smith. 1884. George Sterling Poughkeepsie City Directory. 1868-9. Bulletin, et al. Cyrus Swan Obituary. Poughkeepsie Daily Eagle. May 22, 1900. Charles Swift Platt, Edmund. History of Poughkeepsie. Bulletin of Vassar College, et al. John Thompson Smith, James. History of Dutchess County. John Guy Vassar, Jr. '"Vassar's Book of Travel." New York Tribune. New York: January 25, 1862. p.1. Obituary. Harper's Weekly. November 10, 1888. v. XXXII. No. 1664. Matthew Vassar, Jr. Vassar College Special Collections. Obituary. Harper's Weekly. August 20, 1881 p. 573.